If you’re looking for the easiest 4-Ingredient Christmas treat, these Chocolate Rum Balls are it! Rum balls take less than 20 minutes to throw together OR even less if you get the kids involved! NO BAKING required and NO need to melt any CHOCOLATE! 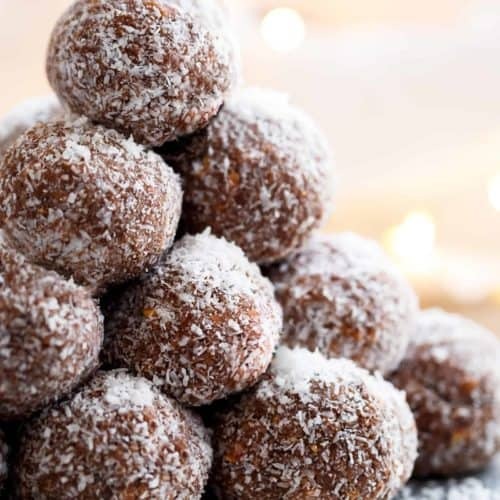 These little rich and decadent Chocolate Rum Balls are our very own quintessential Christmas treat in Australia, where chocolate and coconut meet condensed milk and crushed wafers or cookies! A hint of rum makes these the BEST treats to give as gifts OR serve to your guests! 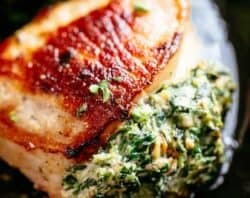 Easy to make, I bet you have the ingredients necessary in your kitchen cupboards to make these right now! 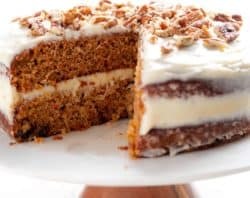 The rum part to be optional in this recipe, as many of our readers aren’t comfortable giving treats with alcohol to their kids. Of course, these balls are AMAZING with or without rum! Or you can make half a batch with rum (1 tablespoon is enough for a half batch), and half a batch without! I’ll leave that part totally up to you. 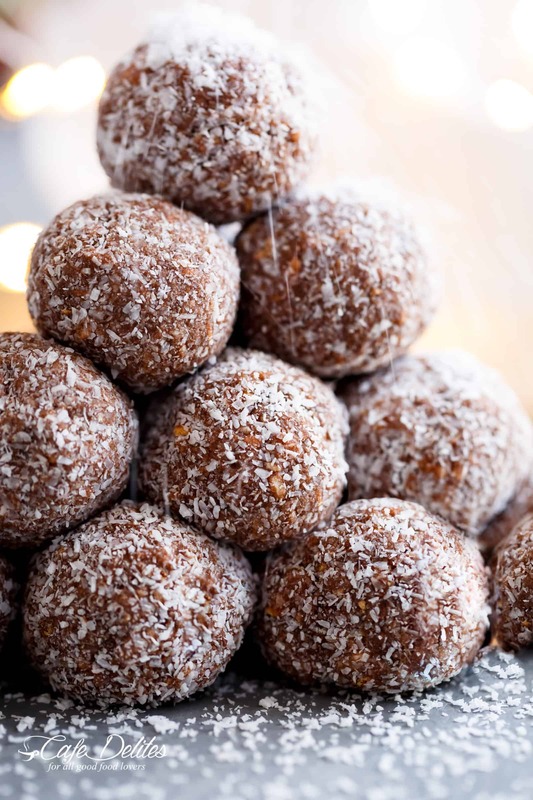 Biting into these Rum balls is one blissful bite after the next. Condensed Milk: for the sake of saving some serious calories, I used Nestle Reduced Sugar Sweetened Condensed Milk, but you can use any type, really. Desiccated (or finely shredded) coconut. Plain sweet cookies: the type you dunk into your tea or coffee. Vanilla wafers, milk arrowroot, or even plain chocolate cookies. A couple tablespoons of rum: as I mentioned earlier, this is optional and can be added to only half of the batch instead of the entire batch if you’re hesitant to serve them to children. 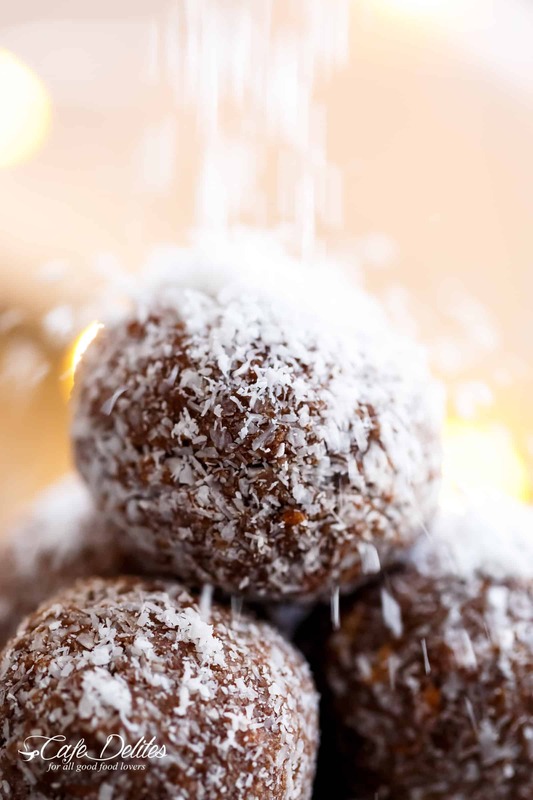 Having said that, most of us grew up eating Rum balls at Christmas parties and we turned out fine! You can also use whisky or bourbon. Place your cookies in a large ziplock bag and crush them with a rolling pin. You could also crush them in a food processor if you wish! We prefer the rolling pin method because we love some larger cookie pieces in our balls! 3. You can start off mixing with a wooden spoon but may need to use your hands once the mixture becomes too thick. Once it’s thick, please don’t add any more liquids to it! It needs to be thick enough so once it refrigerates, it sets into a truffle-like ball. 5. 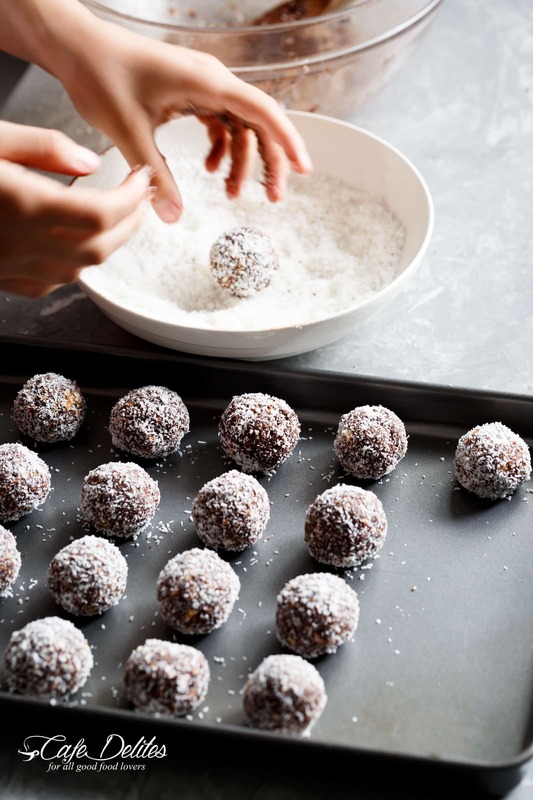 Roll each rum ball in coconut and place them on a tray to refrigerate. Good LUCK not eating any Rum balls while you make them. That’s it! The easiest truffle Rum balls recipe on the planet without needing to melt any chocolate. Perfect for gifts OR as an after dinner mint without the mint! 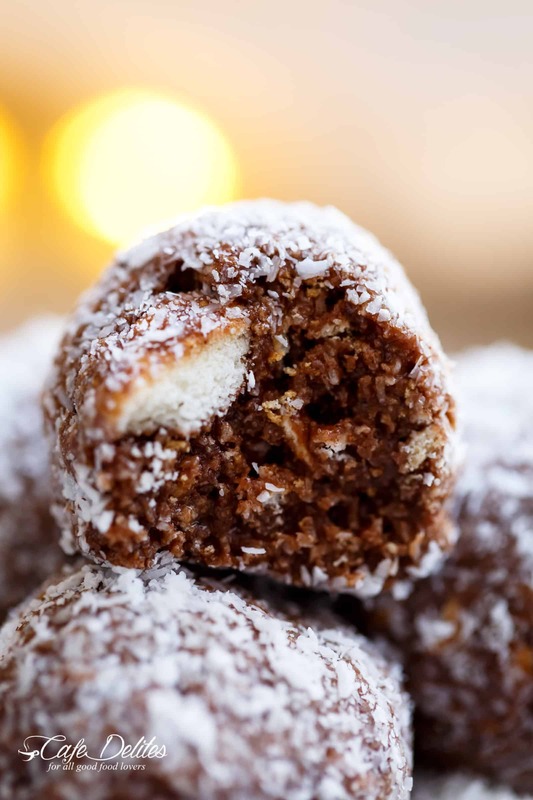 Rum balls are the easiest 4-Ingredient Christmas treat! NO BAKE and NO MELTING CHOCOLATE! Where chocolate and coconut meet condensed milk and crushed cookies with a hint of rum to make the BEST treats to give as gifts OR serve to your guests! Set up a work station with a large ziplock bag and rolling pin (or a food processor); a large bowl for mixing; and a shallow bowl with 3/4 cup of coconut for rolling in. Place the cookies in ziplock bag, seal and crush with the rolling pin. Alternatively, crush in the food processor until fine crumbs form. It's ok if there are some slightly larger pieces. Add the crushed cookies, coconut, cocoa powder and condensed milk to the large bowl. Mix the ingredients well using a wooden spoon, then your hands once it gets too thick. Scoop out a tablespoonful of mixture and roll into a 1 - 1 1/2 inch ball, then roll in coconut until completely covered. Place on a baking sheet or tray and repeat until all the mixture has been rolled into balls. Store in an airtight container layered with parchment paper or plastic wrap in the freezer for up to 4 weeks. These we’re off the chain, I love Coconut rum, so I used 4tbls, OMG! Just saying!! 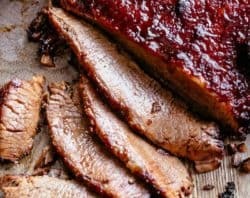 I want to add crushed/chopped nuts (such as pecans) to this recipe. Do I slightly reduce amt of van wafers or just add nuts? Any suggestions? 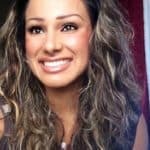 Hi Elayne! 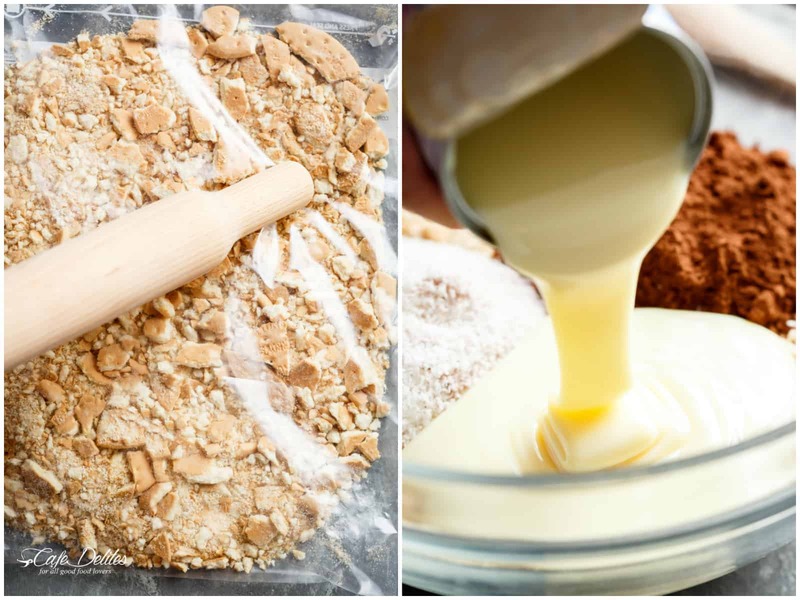 You can just substitute, say, 1/3 cup of wafers for 1/3 cup of crushed nuts. Delicious! Love that idea. Used purchased chocolate wafer crumbs. Saved time. Also used sweetened condensed coconut milk and some rum flavouring for these. Delicious. 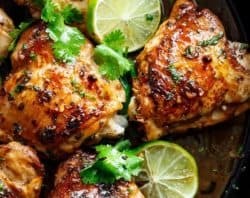 Would rum extract work with these? I have no idea what kind of rum to use but I have extract in my pantry ! 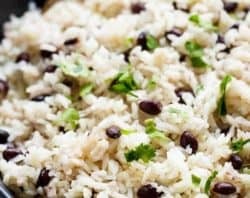 What can I use instead of the coconut? We are not coconut eaters around here much. How much powdered sugar would you substitute for the coconut and possible roll them in the powdered as well? When Santa came to our house they loved them. However, I use to make ginger ale balls for my sons! Family doesn’t like coconut. What else can I roll the balls in? 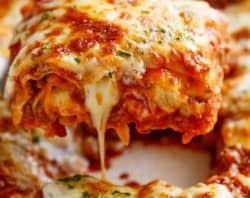 Making these this weekend, they look soooo good! 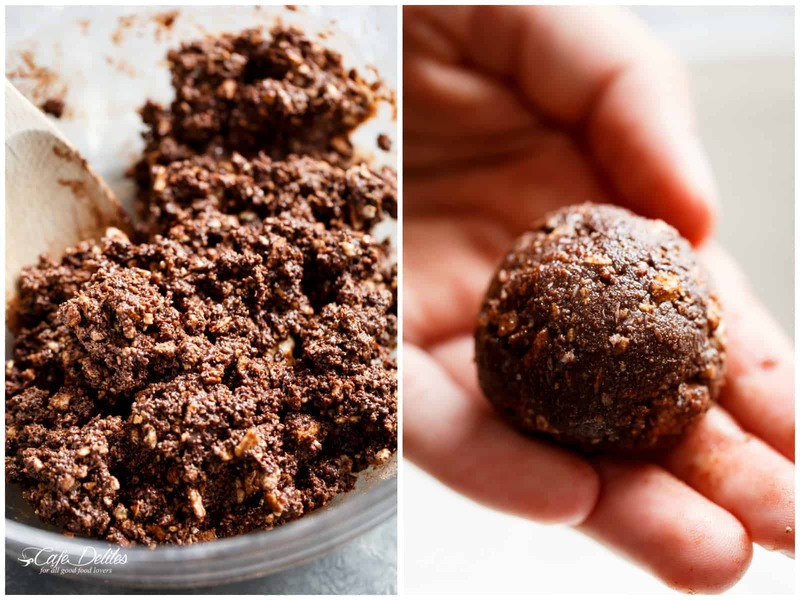 They remind me of date balls, and I absolutely love those! Can i use champagne or vodka instead of rum? Yes, of course! It will alter the taste of the truffles and it could make them more crumbly. I haven’t tried it yet but please let me know how they turn out! Arnott’s Milk Arrowroot biscuits? Graham crackers? ?